Description : A swicki is new kind of search engine that allows anyone to create deep, focused searches on topics you care about. Unlike other search engines, you and your community have total control over the results and it uses the wisdom of crowds to improve search results. 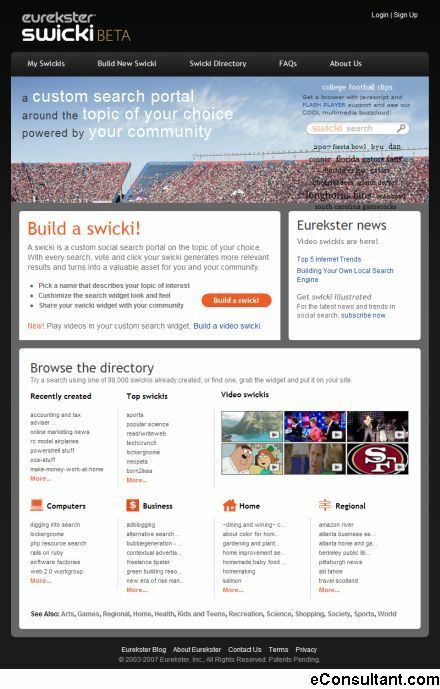 This search engine, or swicki, can be published on your site. complete with its very own buzz cloud that constantly updates to show you what are hot search terms in your community.